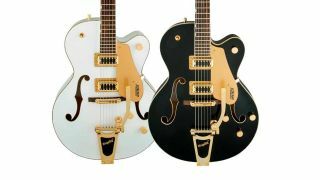 There are few guitars classier than Gretsch hollowbodies, and now you can snag the excellent G5420T for a bargain price. Musician’s Friend is listing this Electromatic model for $749 - $150 off its original $899 price. That’s a killer deal given the performance from this beauty, which comes equipped with Black Top Filter’tron humbuckers and a Bigsby B60 vibrato tailpiece.